Euro started a fast descending movement. We think, today the price may continue falling down to reach the level of 1.3150 and then start a correction towards the level of 1.3280. Later, in our opinion, the pair may form another descending structure to reach the target at 1.3000. Pound continues forming a descending structure. 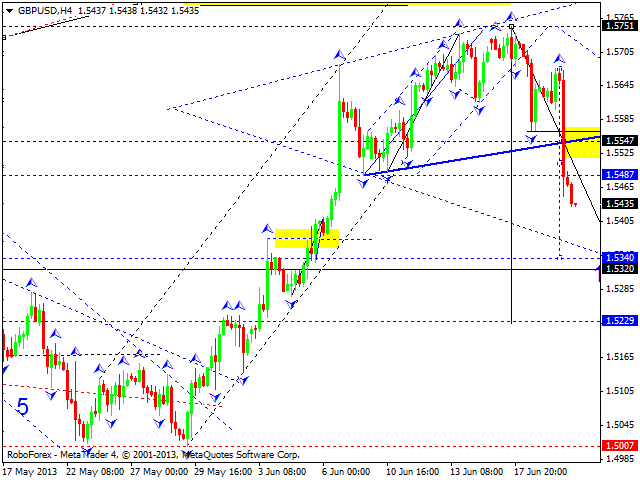 We think, today the price may reach its first target at 1.5340 and return to the level of 1.5490. 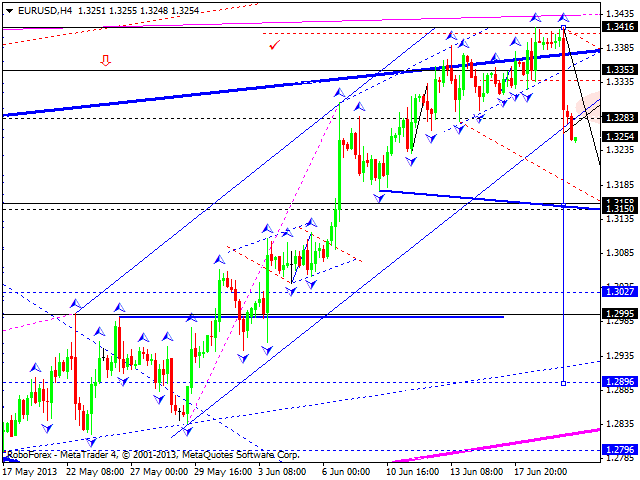 Later, in our opinion, the pair ay continue falling down towards the target at 1.5230. Franc broke a descending channel. 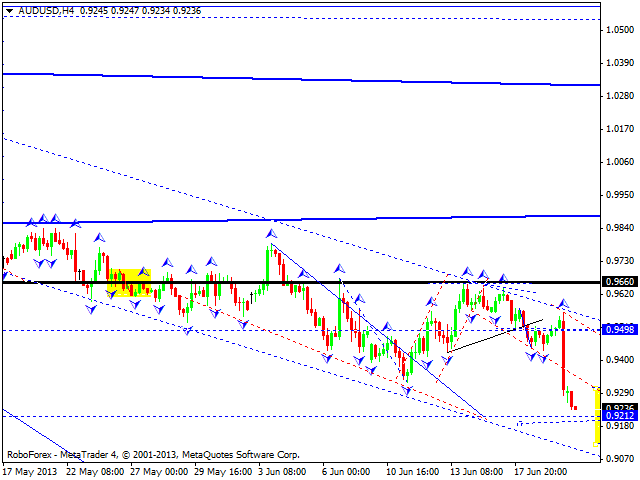 We think, today the price may continue growing up towards the level of 0.9390 and the return to the level of 0.9290. 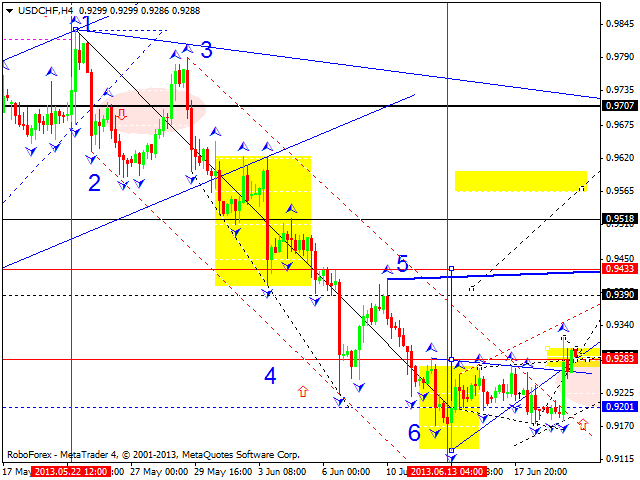 Later, in our opinion, the pair may start another ascending structure to reach the target at 0.9433. The USD/JPY currency pair continues moving upwards. We think, today the price may consolidate near the current levels and then continue growing up towards the level of 98.90. In our opinion, it even may move straight to the target at 99.15. Australian Dollar is still forming a descending structure. We think, today the price may reach the target at 0.9215, consolidate near it for a while, and then continue falling down towards the target at 0.8800. 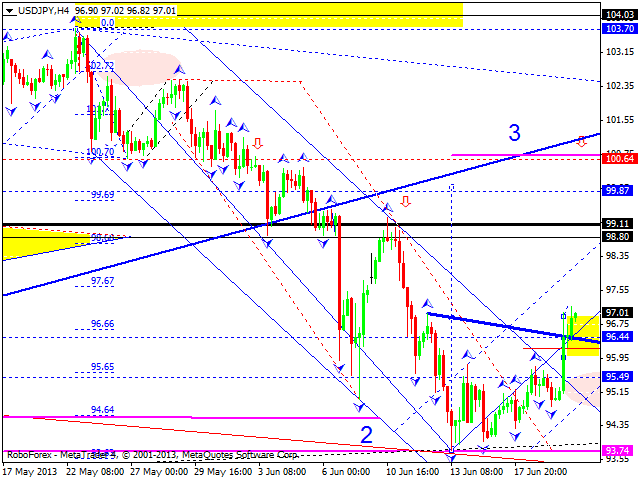 Gold couldn’t form a reversal structure. As a result, the market formed a continuation pattern to continue falling down towards the level of 1377. 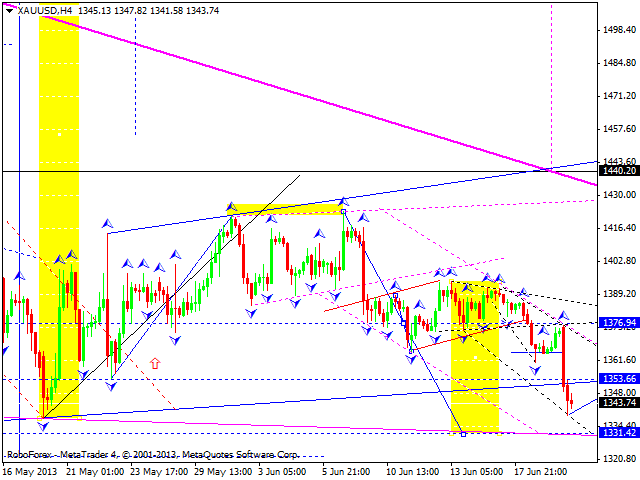 We think, today the price may continue moving to reach the target at 1331.